Abolish grand juries: Justice for Eric Garner and Michael Brown. The secrecy, lack of oversight, and disregard for the rules of evidence do not serve justice. Secrecy in grand jury proceedings was intended to protect the reputations of the unindicted. Photo illustration by Slate. Photos by Chip East/Reuters and Thinkstock. Grand juries originated in 12th-century England to prosecute criminals; in the 20th century, England abolished them. Other members of the former British Empire—Scotland, Wales, New Zealand, Ireland, Australia, and Canada—have done the same, but not the United States. As demonstrated in the Michael Brown and Eric Garner cases, today’s state criminal grand juries serve no useful purpose and make a mockery of justice; they should be abolished. There is nothing grand about grand juries. The Fifth Amendment to the U.S. Constitution, adopted in 1791, includes a grand jury clause that reads, “No person shall be held to answer for a capital, or otherwise infamous crime, unless on a presentment or indictment of a grand jury.” All federal capital crimes and federal crimes punishable by imprisonment for more than one year must therefore be presented to a federal grand jury, unless the accused waives this right. The federal grand jury does not determine whether the accused is guilty; rather, it decides if there is “probable cause” to believe that the accused has committed a crime. By codifying the grand jury in the Fifth Amendment, the framers intended to protect people “against hasty, malicious and oppressive prosecution.” On the state level, things are different. 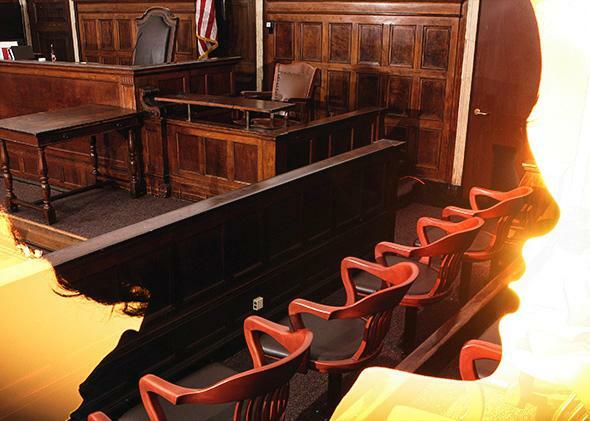 In state courts, judges preside over probable cause hearings called preliminary examinations. These “prelims” are open to the public, and they are adversarial. Witnesses are questioned and cross-examined by prosecutors and defense attorneys, all of whom must abide by the rules of evidence. About half of the states have both prelims and criminal grand juries. In these states, it is in the sole discretion of prosecutors whether to hold prelims or to convene grand juries. Unlike prelims, criminal grand jury proceedings are not adversarial. No judges or defense attorneys participate. The rules of evidence do not apply; there are no cross-examinations of witnesses, and there are no objections. How prosecutors explain the law to the jurors and what prosecutors say about the evidence are subject to no oversight. And the proceedings are shrouded in secrecy. In high-profile, controversial cases, where officers use lethal force, prosecutors face a dilemma. If they don’t file charges against officers, they risk the wrath of the community; if they do file charges, they risk the wrath of the police and their powerful unions. By opting for secret grand jury proceedings, prosecutors pass the buck, using grand jurors as pawns for political cover. The Michael Brown and Eric Garner cases are examples of how prosecutors manipulate the grand jury process. In the Michael Brown case, an assistant prosecutor gave an instruction to the jurors about the law on an officer’s reasonable use of force. However, in 1985 the U.S. Supreme Court revised this law by placing some limits on the use of force. When officer Darren Wilson testified, the jurors understood his story within the framework of the erroneous, broader definition of the use of force. It was not until weeks later that the prosecutor acknowledged her error; and even then, she failed to explain to the jurors how the current law differed from the pre-1985 version. This egregious error would not have occurred had a judge and defense attorney been in the room. One of the things you guys haven’t asked that has been asked of me in other interviews is, was he a threat, was Michael Brown a threat when he was running away. People asked why would you chase him if he was running away now. I had already called for assistance. If someone arrives and sees him running, another officer and goes around the back half of the apartment complexes and tries to stop him, what would stop him from doing what he just did to me to him or worse … he still posed a threat, not only to me, to anybody else that confronted him. There was no defense attorney to question Wilson’s self-serving statement to the jurors. The prosecutor improperly asked Wilson leading questions that suggested the answers the prosecutor wanted. For example, he asked the officer, “So, you weren’t really geared to handle that call?” And: “So nobody heard you say ‘shots fired’ to your knowledge?” And: “In your mind, him grabbing the gun is what made the difference where you felt you had to use a weapon to stop him?” At one point, the prosecutor allowed Wilson to give an uninterrupted 1,889-word narrative about the shooting. All that we know about the Eric Garner grand jury proceeding is that a majority of the grand jurors refused to indict the officer. We will never know why there was no indictment because what the prosecutors said, how they said it, what evidence they presented, and what they asked the witnesses will forever remain secret, unless the transcript is opened to the public by court order. Secrecy in grand jury proceedings was intended to protect the reputations of the unindicted, individuals accused of crimes who grand jurors determined should not stand trial. The entire world knew the names of the unindicted officers in the Garner and Brown cases. Grand jury secrecy did nothing to protect their reputations. By convening grand juries, the prosecutors in Missouri and New York ensured that there would be no justice for Michael Brown and Eric Garner. Sadly, these two men are gone. But if we abolish criminal grand juries, at least their deaths will not have been in vain.